1. Cut cantaloupe in half and scoop out seeds with a spoon. 2. 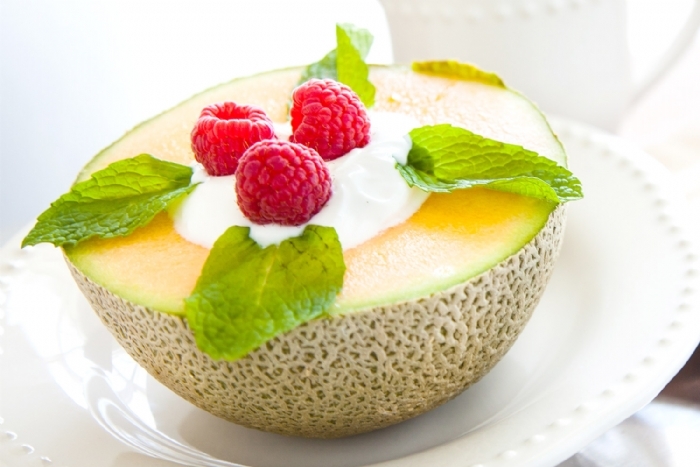 Stir a container of yogurt in the cup then spoon into the cantaloupes cavity. 3. 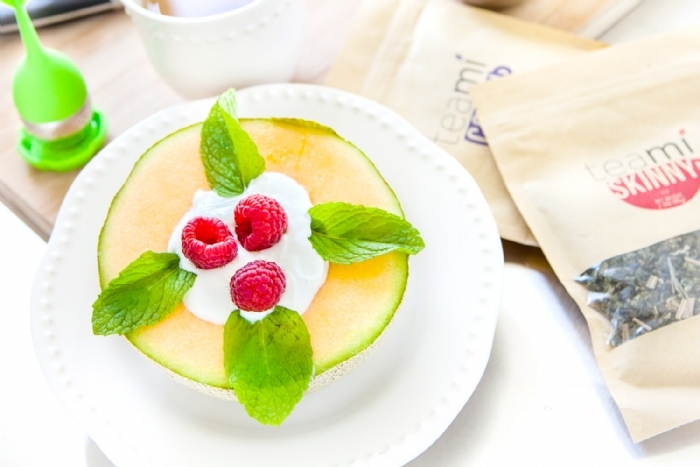 Place a few raspberries and mint leaves as decoration.